Into the Untouched Wilderness .. The Land of Kiraants: The trek begins from gtom the lower temperate river valleys and then reaches into alpine areas and ends with sub-tropical vegetation. This trek is unique in its bio-diversity which alone covers 30 varieties of Rhododendron species and 69 varieties of Orchids. 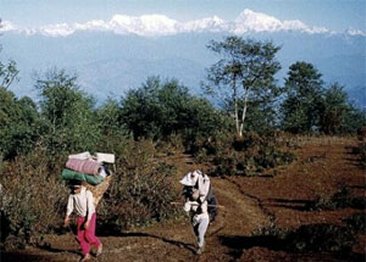 The trek walks through the Kanchenjungha Conservation area which is the home of 202 species of Birds including endangered birds like Impeyan Pheasant, Red-billed blue magpie and shy drongo. The wildlife includes snow-leopards, Musk Deer, Red Pandas and Blue Sheep shall make your trekking memorable if you have the luck to catch a glimpse of them! 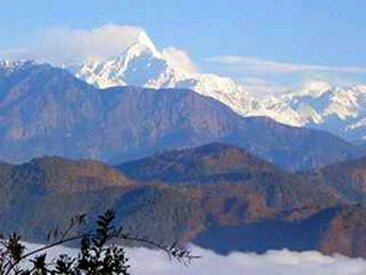 The Kanchanjungha Conservation Area has been selected as one of the 200 global eco regions recognized by world wildlife Fund (WWF). The major ethnic groups living in this trek are the Rais and Limbus (Kiraant) who have a warm and rich culture of hospitality. If you visit during one of their ritual celebration days you will have opportunity to witness a culture far removed from the self-centric-individuality of much of the modern world. You will feel a remarkable longing to live there longer and you are sure to feel at home. The region spreads over the districts of Terahthum, Sankhuwasabha and Solukhumbu in northeast Nepal. The prime attractions for the trekkers to the region are bio and cultural diversity. The trek begins with subtropical forest and then moves into sub-alpine as the altitude increases. The region boasts of 47 species of Orchids, 67 species of Medicinal Herbs, Bamboo Species, 15 Oak species 48 species of Primroses and 86 species of Fodder trees. The Makalu Barun Park offers birds watching opportunities with its 400 species of birds, including the Rave Spotted Wren Bubbler and the Olive Ground Warbler. 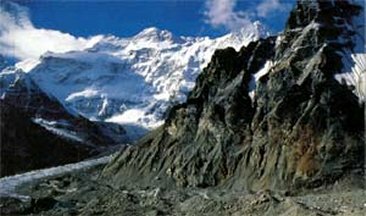 Among the fauna this region is habitat of the endangered Red Panda, Snow Leopard, the Himalayan Black Bear, Clouded Leopards, Ghorals, Himalayan Mamots, Wensels and Scrows. The Arun river that flows through the park has 84 varieties of fish including Solmon. The majority of the people live here are of Magar, Tamang, Sherpa and Rais ethnic groups. The trek is a full camping trek as there are Teahouses are available at this time. The Serenity trek: This trek is named after Nepal's biggest lake Rara. Situated in the mid.west of Nepal this region offers a representative sample of the region's flora, fauna and exotic ethnic beauty. Sprawled over two districts (Mugu and Jumla) Rara lake is the major site of attraction, the habitat of rare water birds like Coots, Great Crested Grebe, Black-Necked Grebe and Mallard etc. The region has a sub-tropical and alpine climate covered by Rhododendron, Juniper, Spruce, Oak and Cypress at around 3000m of altitude while at higher altitude Pine, Spruce and Fir are more common. The rich vegetation of the park is a home to the endangered Red Panda, Musk Deer, Himalayan Black Bear, Leopard, Jackle wild Yellow Throated Martin etc. 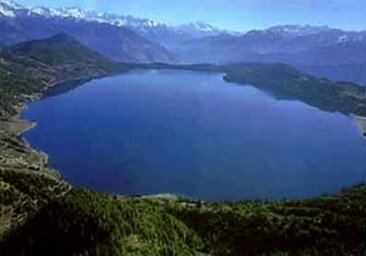 Apart from the eye catching beautiful sight of Rara Lake the region offers the peaks lake the Chuchnera(4148m) of the Southern side of the Lake, the RumaKand(3731m)and Malika Kand (3444m) serve the purpose of observation ports to enjoy the scenic view of the lake and the beautiful Mugu Karnali river valley to the north. The land of the Gurungs: The region offers the unique and unspoiled culture of the Gurung ethnic group. But above all this trek is less walked by the tourist which makes the region authentic with no urban influence. The region is bordered by River Bhudi Gondaki and to the west by at an altitude of 1000m and reach as high as 5200m with wide range of Flora a typical of the middle hills and alpine regions of Nepal. People in the higher altitudes are of Tibetan origin while majority of the people are Gurung along the trail. Plants to be seen around here are pine, Rhododendron wildlife include Banking Over, Pika and Himalayan Marmots, birds to be sighted in the region are Pheasant, Raven and Cough.